It was a little cool for the end of March when we left in the morning for St. Petersburg and Bradenton Florida. The temperature read a brisk 48 on the dash of the Equinox. 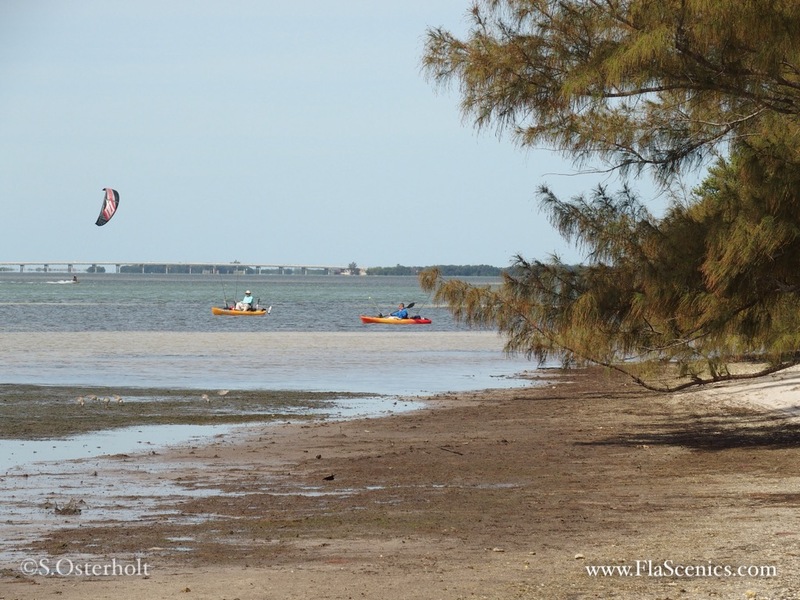 But as usual in Florida, it warmed up quick and we got to the Skyway Bridge State Park around 10:00. 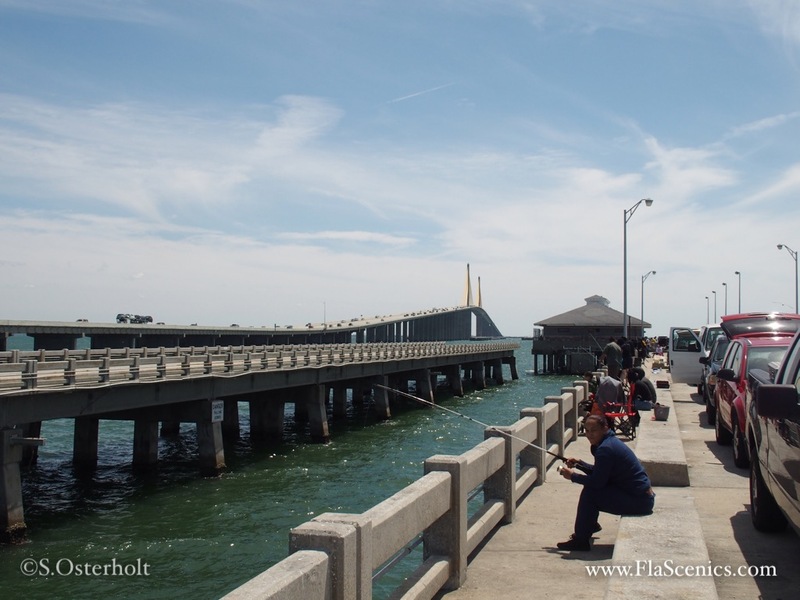 The state turned the old bridge into a fishing pier when the new bridge was built. 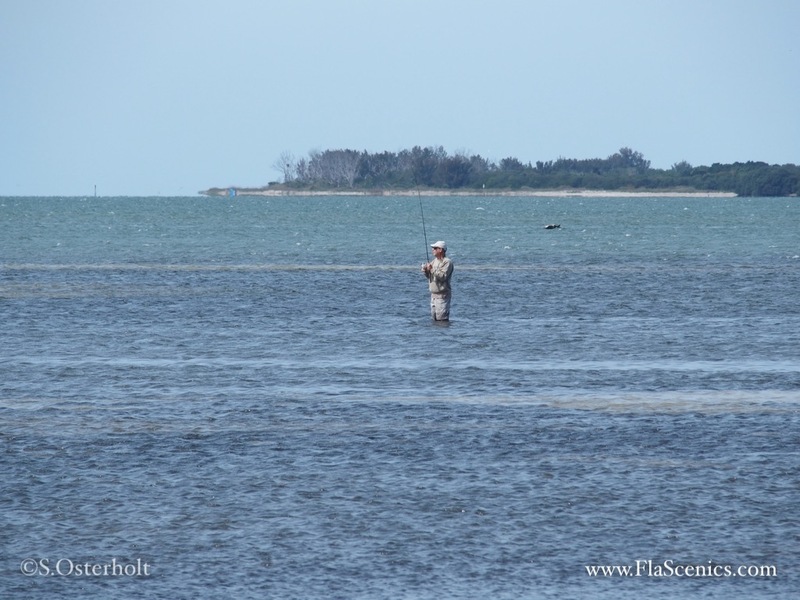 It is always crowded with anglers on the weekend. The first section of the park is a rest area on the St. Petersburg side of the bridge, that has some nice areas to fish form the shore. This is my preference since I only fish with artificial lures on my quest to fish the state parks. The tide was low, and wading was the natural choice. I fished off a point close to rest area. It was difficult throwing my normal Yozuri jerkbait, since the grass was near the surface, and the wind was howling at about 15-20 mph. 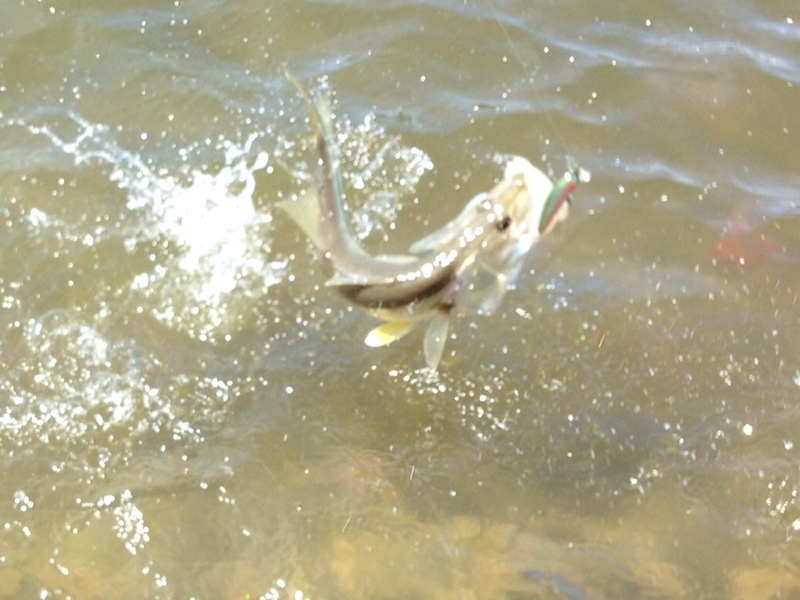 I managed only a few Pinfish with my bait, which were barely larger than what I was throwing……. Here are a few shots of the park. Next we crossed the bridge and took a small road off 19 and found a secluded park called Terra Ceia Preserve. This park doesn’t even have a sign or admittance. 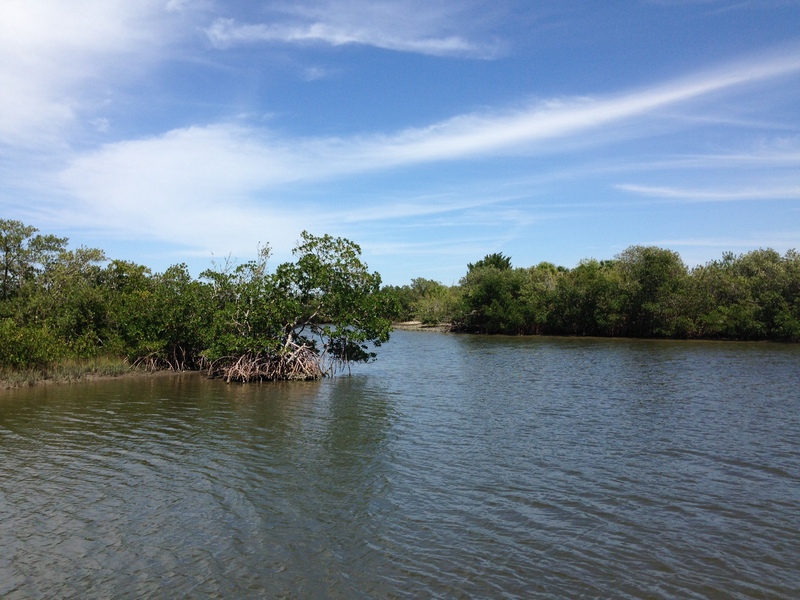 It is a nice marshy area with winding creeks around mangrove islands. I was able to walk around some of the area and cast to some of the mangrove islands. 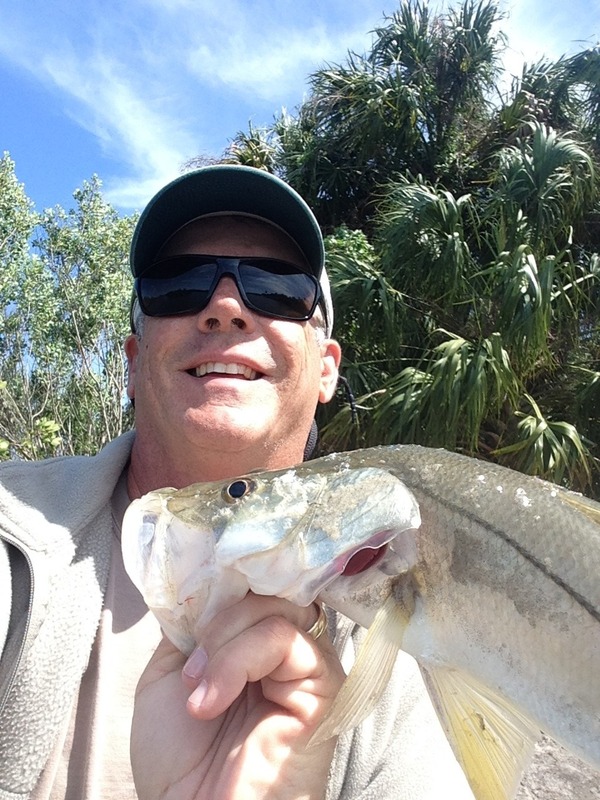 I used the Yozuri, and right off the bat this nice snook nailed my lure, and the fight was on! It happened to be the only bite I had in the two hours we visited the park, but still put up a nice fight and made the trip! This entry was posted in Uncategorized on March 30, 2015 by shurstrike.